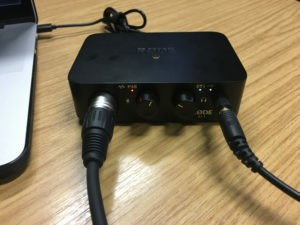 In the fifth and final instalment of our USB Audio Interface reviews, Phil takes us through the Rode AI-1. 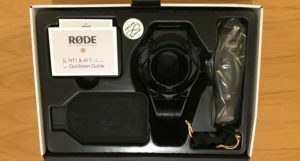 The Rode AI-1 interface comes as a complete kit, which includes Rode’s famous and studio-proven NT1-A large diaphragm condenser mic, the AI-1 interface, an integrated pop shield and shockmount and all necessary cables, and a copy of Ableton Live Lite. It is a very good looking kit. The build quality of the interface is very good, with a full metal body. It has a good weight to it so it will stay on your desk when you’re plugging things in. The dials and inputs feel sturdy and you feel like you have got a lot of control over them. This interface is aimed at the beginner. 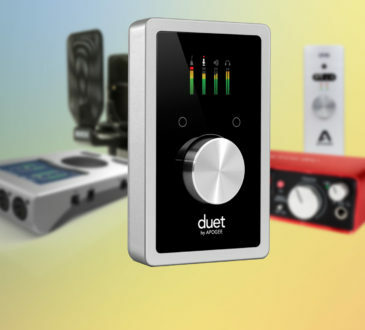 It is a very clean, simple design, with a Neutrik combi XLR/Jack input that offers 48v phantom power for mics, an input gain dial (press the dial in to toggle phantom on or off) and output level dial, along with a headphone output on the front of the unit. There are 2 LEDs on the front, telling you input levels (green, orange or red depending on how hot your signal is) and a phantom power indicator. There are two ¼” balanced jack outputs on the rear of the unit along with the USB-C connector. This unit has no MIDI functionality, but is designed with purely single channel audio recording in mind. The output dial also is a button to turn on zero-latency direct monitoring. This simplicity makes it a perfect choice for voiceover recording, podcasting or for the budding recording musician. It is class-compliant and requires no drivers so you can plug in and get started straight away. 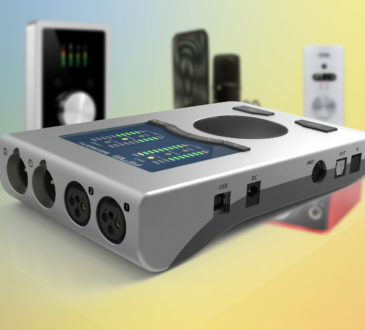 The unit can record at up to 24-bit/96KHz, standard now for an interface of this size and good enough quality to match the reputation of the microphone provided in the kit. The preamp is comparable in quality and specification to those found on the Focusrite 2i2, a common interface bundled with this mic – you can tell what market Rode want to get into. The AI-1 has its own discrete “studio-quality” headphone output, which is powerful enough to drive all kinds of headphones, and does sound great. The noise floor of the mic input is great for this level of interface, and is actually a bit better than that of the 2i2 when I compared them. 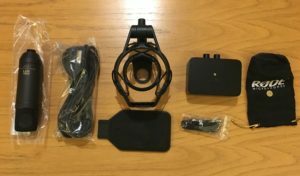 This would be useful for popular voiceover mics like the Shure SM7B or Electrovoice RE20, which need a lot of gain. 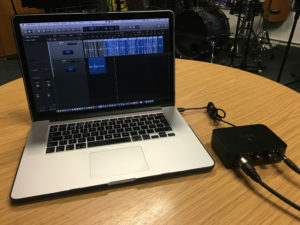 I tested this interface when recording a multitrack acoustic demo of guitar, vocals and cajon, using the NT1-A provided in the kit, and it did a nice job especially on acoustic guitar. In testing, the jack input worked fine with electric guitar, but I found when recording with an active bass that I was missing a pad function on the input, and had to be careful when playing. Also there was no option to mix levels of direct monitoring and playback from DAW like on other interfaces, but you can get round this by adjusting levels on your DAW. The AI-1 doesn’t have any bells or whistles and is not designed to do anything else other than provide an interface between your mic, your DAW and your speakers and headphones. 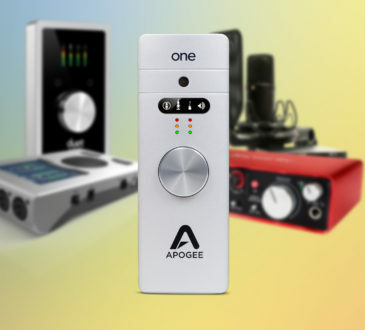 For the kit, including the Rode NT1-A and all accessories, £262 is a fantastic price for a proven studio quality microphone, interface and all accessories. In my experience, Rode have always made great quality microphones, and their branching out into interfaces can only be a good thing. The interface does a great job and is a sleek and good looking unit with fantastic build quality. If you only need a single input bus powered interface with a clean, low noise preamp, then this is a great choice. 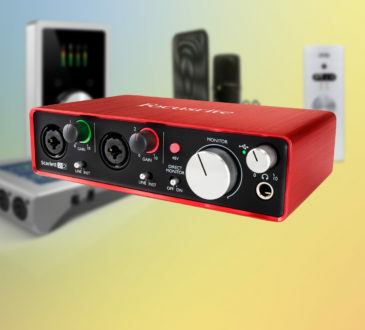 If you need more inputs and versatility, then the Focusrite 2i2 provides another mic input for around the same money, but it’s not as good looking! As part of a kit though, the AI-1 represents good value for money if 1 input is all you need. 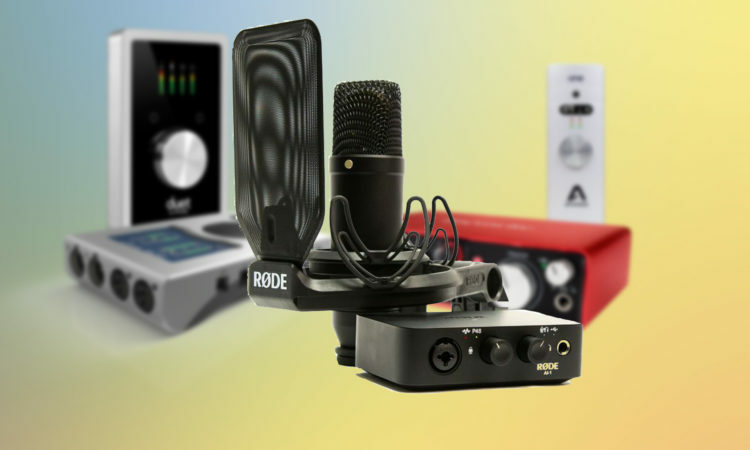 We have the entire Rode Microphones range available on our website. ESV offer next working day delivery* FREE over £99!